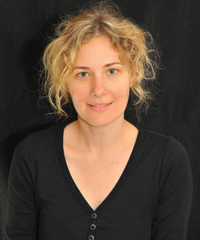 Patricia Gaborik is an independent scholar and playwright based in Italy and currently teaches at the American University in Rome. She is a Fellow of the American Academy in Rome and holds doctoral degrees in Theater History Studies from the University of Wisconsin and from the University of Rome, La Sapienza. Dr. Gaborik has published in various collections, such journals as Modern Drama, Theatre Survey, Western European Stages and Dance Research Journal and the volume National Theatres in a Changing Europe (Palgrave, 2008). She is the author of five chapters on late nineteenth- and early twentieth-century Italian theater in the Atlante della letteratura italiana, vol. 3 (Einaudi, 2012). There she covers such diverse topics as dialect drama, fascist theater, post-war censorship practices, and authors Pirandello and Brancati. Her essays on futurist performance appear in Il futurismo nelle avanguardie (Ponte Sisto, 2010); Avant-Garde Performance and Material Exchange: Vectors of the Radical (Palgrave, 2011); The History of Futurism: The Precursors, Protagonists, Legacies (Lexington, 2012); and the aforementioned Atlante della letteratura italiana. She is now completing a monograph on theater in Mussolini’s Italy. Her English version of Bontempelli’s Watching the Moon received its first U.S. performance at Hofstra University on December 4 and 6, 2015. Patricia Gaborik’s own one-act plays, Painting, The Landlord’s Nephew, and McAdams and Son, have been published in Italian by the literary magazine Il Caffè Illustrato. For Verso, she translated Gabriele Pedullà’s In Broad Daylight: Movies and Spectators After the Cinema (2012).